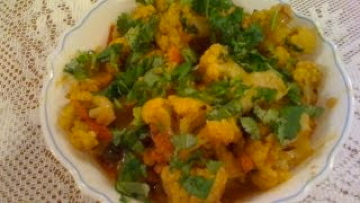 Cut eggplant into small pieces. Keep them in water with a little salt to prevent them from getting black. Take oil in a pan and heat it on medium. 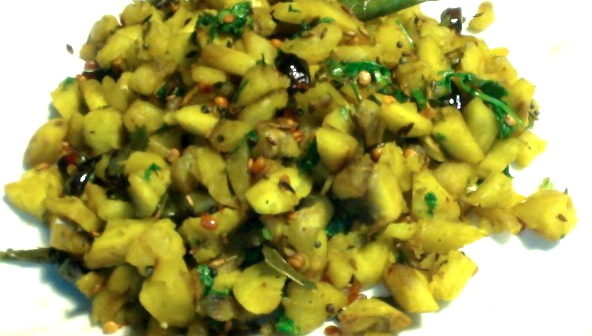 When the oil is hot add chana dal, urad dal, mustard seeds and cumin seeds. Keep stirring. 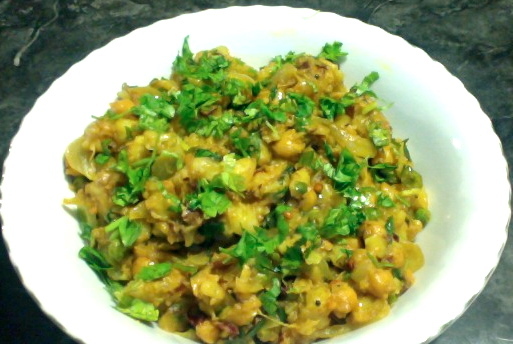 When the chana dal is changing color, add curry leaves and onion. Stir it once and add eggplant from the water. Stir it once and add salt and turmeric powder. Mix it well, cover and cook for 5 minutes on medium heat. 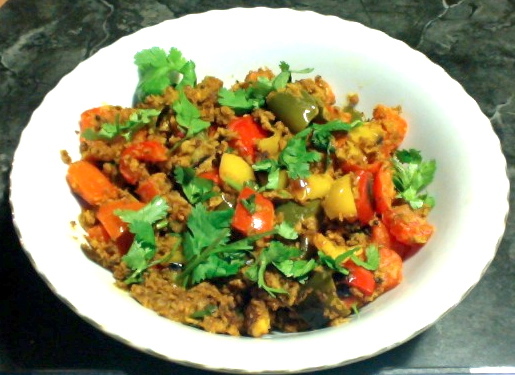 After 5 minutes stir it once and add sambar powder. Mix it well and add a little water if it looks dry. Again cover it and cook on low medium for 5 more minutes. After 5 minutes, stir it once and add a little butter and salt if you require. Cook it for 1-2 minutes and then add chopped cilantro and mix it well. Switch off the flame. 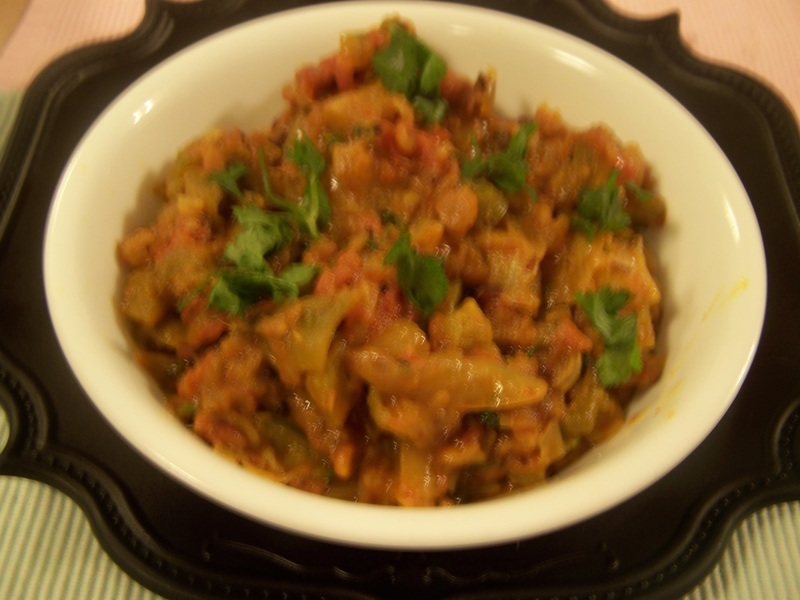 Eggplant curry with sambar powder is ready and serve it with chapathi or rice.